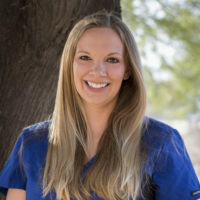 Dr. Danelle Jackson attended vet school at Wisconsin University. She worked in southern Texas before moving to Yuma in July 2016 with her husband Bryce. She has a cat named Lola and a black lab named Ash.